I'm having an off year, mites and a leaf curling virus, and I'm not expecting to harvest much this year. So I decided to contact a friend on this site and see if I could get a little stash for the winter. It arrived today and it blew me out of the water. 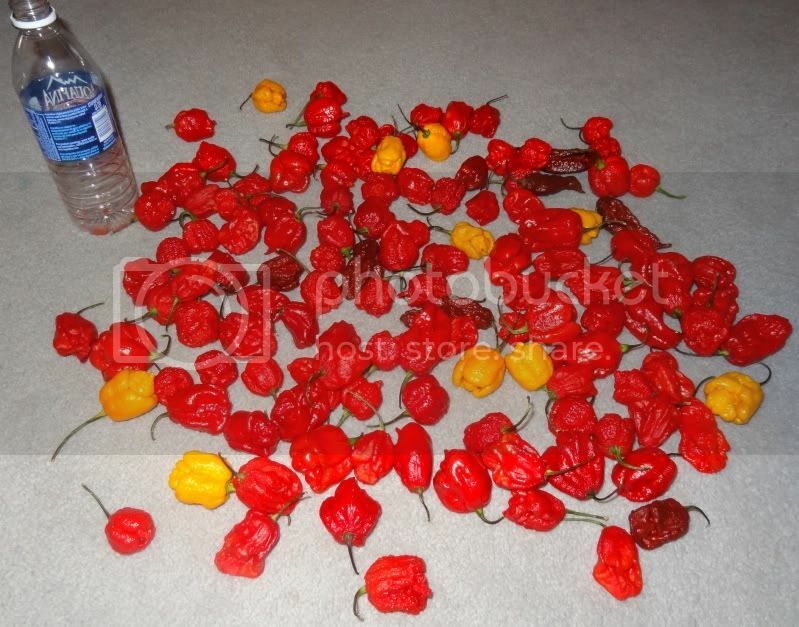 Over two pounds of superhots. 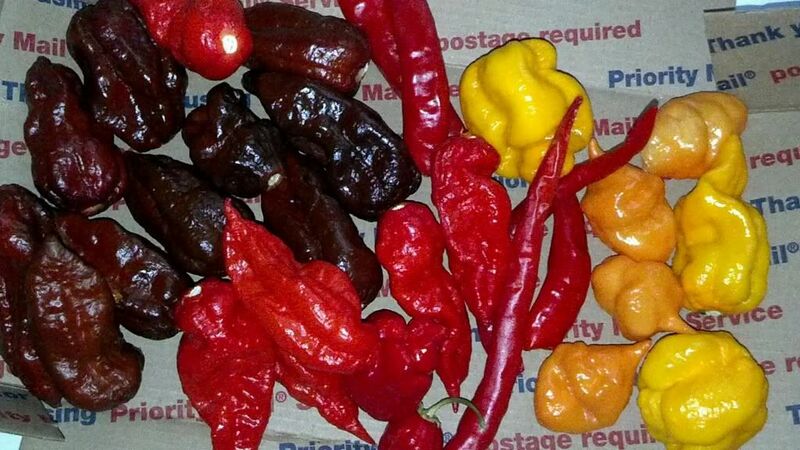 I'm not the biggest consumer of peppers so I have little doubt that I am good to go for the off season. Thanks friend. Pepper people are definitely the best. You definitely got the hookup Patrick! 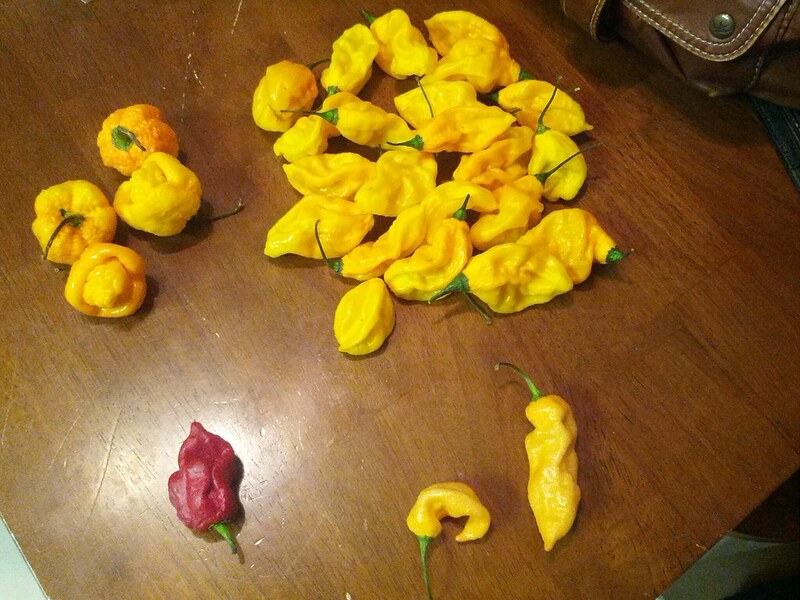 Those are some beautiful peppers! Yah thats one of the things i like about thp forum is there generosity as well as the pay it forward mentality I consider myself lucky to have found this forum. Edited by Smitty, 30 August 2012 - 06:25 PM. Oh man do they! Thing is all of them look wicked. Usually it's just a few that stand out but this entire box is just scary as hell. I agree 100% Smitty, this is one of the best sites on the web full of great people. Great score for ya, Yes there is a lot of great people here. Are you going to dehydrate or make sauce? All those peppers should hold you for awhile you should get enough seeds to do a pretty large grow out next year. That looks like quite the fire package. Really nice gesture. I agree - pepper growers are GREAT! Stay warm Patrick! pepper people are the best! I may make a sauce SS, you got any good recipes for me to try? I will powderize some, sauce some and then freeze the rest. I may try canning a couple of half pints. Got to thinking about making some spicy sauerkraut. I hope this isn't a thread hijack but I just wanted to add to this. 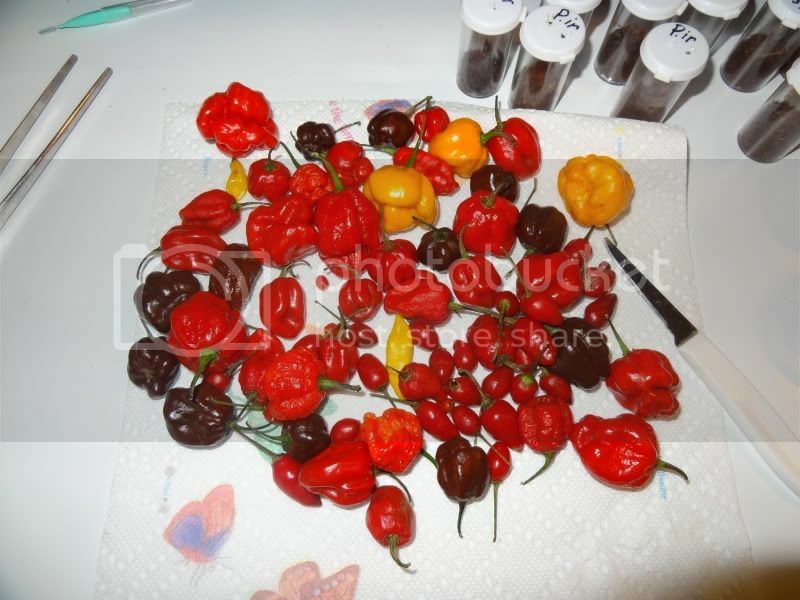 Got into peppers through a friend, found this site the more I got into it, and signed up. I don't think it was even a week, and AZPeppergirl hits me up in a PM and ask if I would like to trade seeds/pods whatever. Me being new to the chili world I didn't have much to offer, well she sends me seeds anyways and hooks me up. I was caught off guard and blown away by her generosity. It's people like this that make the chili world go round. I just wanted to say thank you publicly. Pepperheads rock! No worries FITH! Feel free to pass on all the thanks you want. Makes the world go round. Made a little puree tonight of some of the more pimply pods, not quite sure where or how it's going to end up though. I'm thinking I'll use it to add a bit of fire to some store bought sauces. I'm a big fan of Cookies BBQ sauce and the original Kraft stuff. 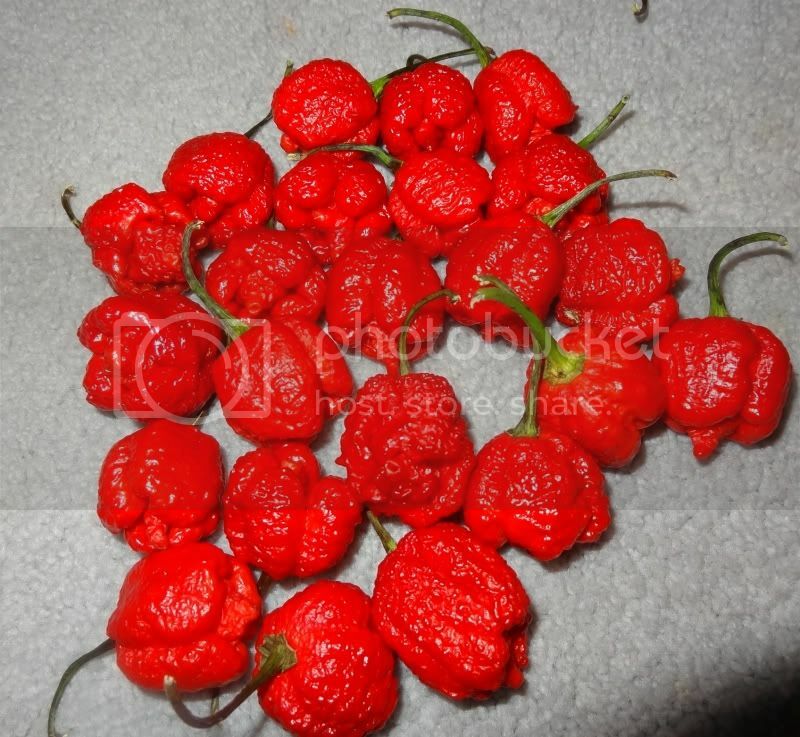 Thinking a dollup of the pepper puree into a pint of those might start a fire or two. Here's a little peek at the final product. It's just peppers, couple of dashes of vinegar and lemon juice and a bit of sugar. Edited by patrick, 02 September 2012 - 12:29 AM. Patrick that does look good! Awesome score, whoever helped you out is no doubt a good person. This place is awesome. Looks like the first cool front is coming this weekend! We'll get it a day after you guys do. 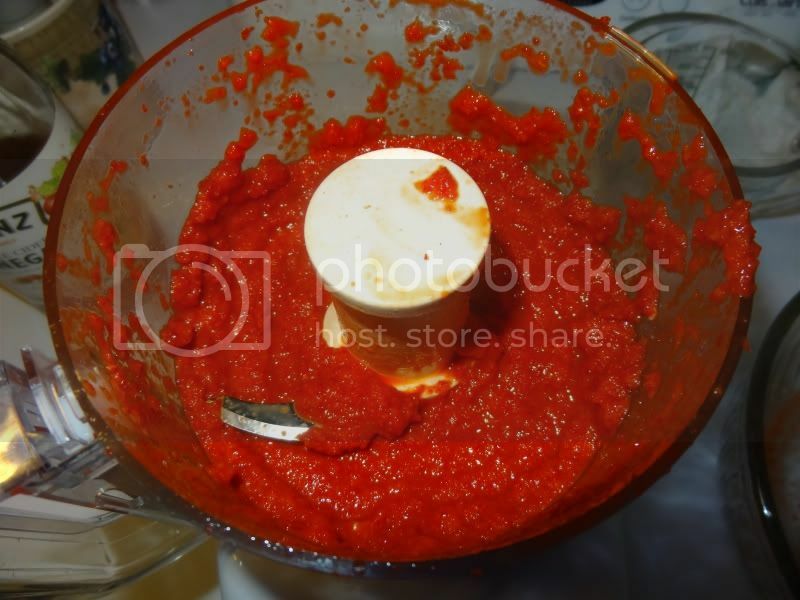 Wow the color on that sauce( or should I say puree) is perfect. Looks deadly . I know, I wanna dive in, but I'm sure that would be like swimming in a vat of Pepper spray concentrate. Have me crying mommy. That just looks nuclear, like it would glow in the dark! incredible. "If you think it's HOT now, wait till tomorrow!" Well it happened again. I get my mail and darned if there isn't a shipping box in it. This one's from Jamie. Thank you very much Jamie. Pepper people are indeed the best. Thanks Chris! Pulling seeds from some of these rare ones for next year. Thats funny, my wife found these in our mailbox today thanks to Coheed! I concur, pepper people are the best! Please, do not feed the trolls!